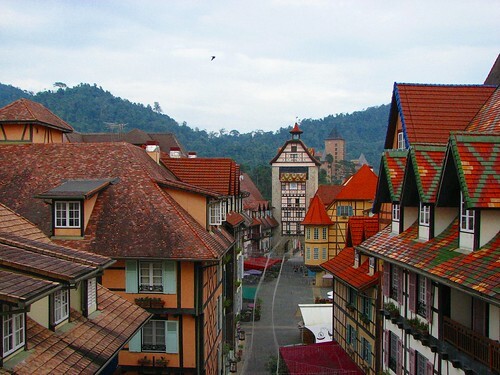 Inspired by beauty of 16th century architecture of Colmar, a commune in the Alsace region in north-eastern France, a French architect has recreated its design in a Malaysian resort known as "Colmar Tropicale". 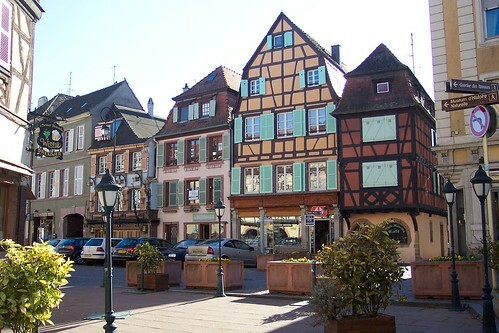 "Colmar Tropicale" - the French themed resort hotel in Malaysia, is spread all along a stone cobbled street, lined with houses and shops having the same architecture as the old town of Colmar, France, complete with Medieval era half timbered houses, colourful roof tiles, balconies with flower pots, village clock, wishing mountain, water well, roadside benches, old turreted gate and drawbridge etc. The interior decor and mbience of the shops and rooms etc. is also totally French. 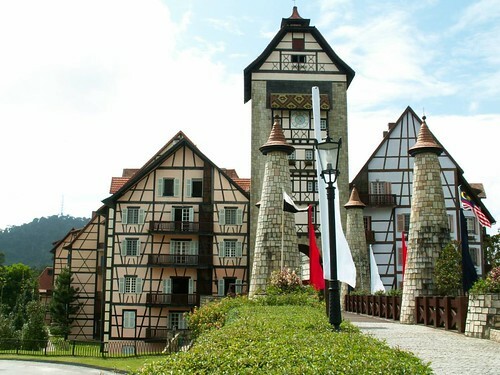 Located in hilly region of Bukit Tinggi, the resort is set in 320,000 Sq. metres (80 acres) of lush green tropical rain forest of Pahang mountain range and from its elevation of about 780 metres (2,560 feet) it provides a panoramic view of the region. 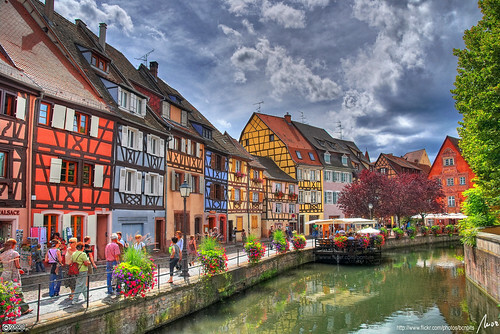 Hmm, I've not heard of the Colmar Malaysia although I live not too far away. I must check it out. Might be a good place to bring the kids!